Be bold with your smart wear. 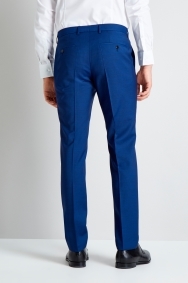 Suit up in these bright trousers from HUGO by Hugo Boss and catch more attention. The tailored fit cut creates a contemporary tapered shape, and the pindot texture adds further on-trend appeal. Made from 100% virgin wool, they’re exceptionally soft and warm. Pair with the matching jacket for business-filled days, and offset the bright colour with a crisp white shirt. Nice material and fit.Very pleased. 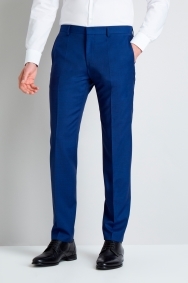 Beautiful Trousers that fit perfectly, although the color is slightly darker than the photo shows. Perfect fit, Perfect quality! Great support from Adriana! Perfect employee in your store. Really appreciate for your full support and great advices!